The Patrick Wade Child Development Center was a design-build project dedicated to honor Chief Petty Officer Patrick L. Wade, a Navy exposives technician who gave his life while serving in Iraq. 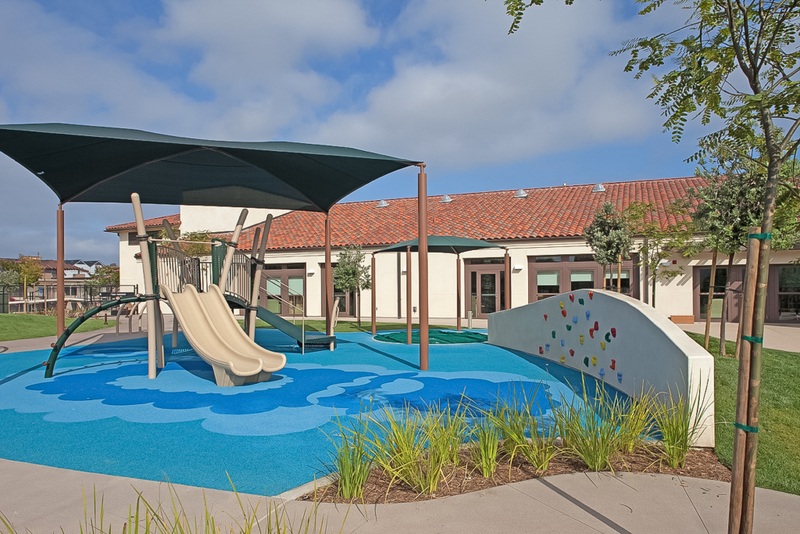 This 25,865 square foot facility serves the needs of military families by providing daycare for 218 children ages six months – five years at the Naval Training Center, Point Loma, California. 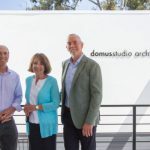 The project took advantage of an underutilized part of a public park site, maintaining and enhancing the remaining surrounding active park areas, protecting existing trees and site amenities. In addition to the park, the project site includes child drop-off and staff parking, full age specific playgrounds for the four various age groups and bio-swale and bio-filtration for storm water retention and filtration. 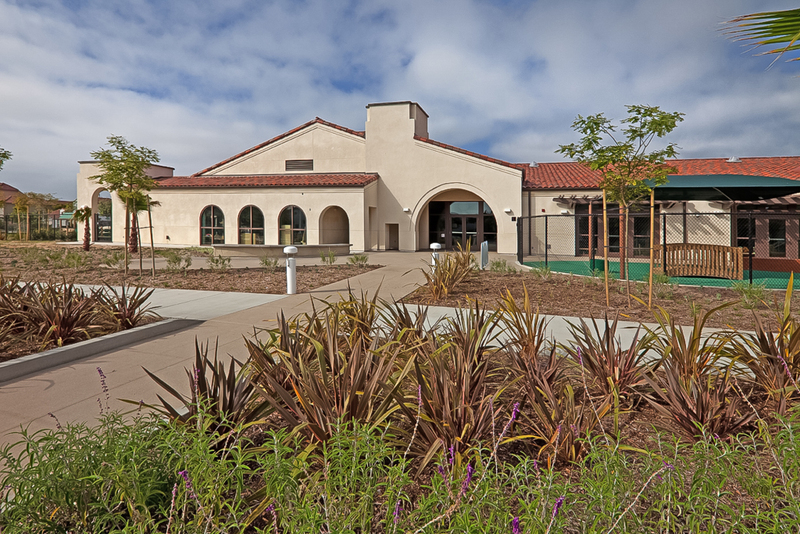 Providing all interior finishes and FF&E, the facility was turned over to the user ready for full occupancy. 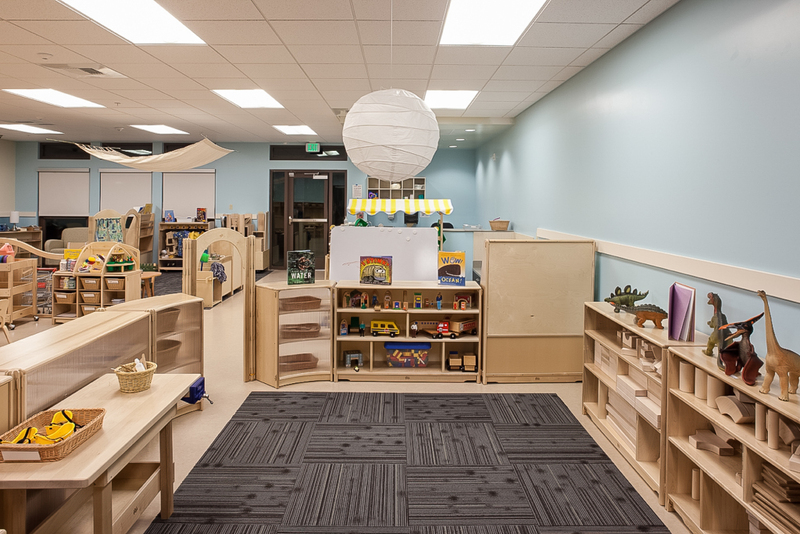 The extensive FF&E package included children’s preschool furniture and play equipment for the 17 classrooms; cooking and serving equipment for the full commercial kitchen; furniture, AV equipment, and computer network for the staff offices, break room, staff training and conference rooms; and a complete custom signage package, including a lighted monument sign. 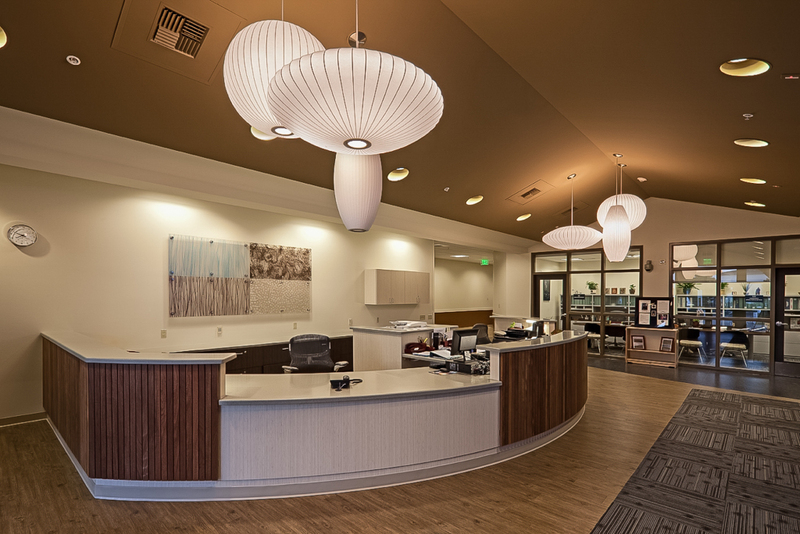 Integrated interior and exterior lighting accentuated circulation areas and children’s art display areas while the automatic lighting controls saved energy by dimming or turning off when natural day-lighting was available through the large windows and skylights. 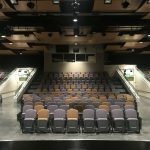 In addition to lighting controls, the building incorporated controls to allow for monitoring and adjustment of all building systems from a remote site. Located under the flight path of the San Diego International Airport, careful attention was paid to noise abatement for window/door, wall and roof assemblies. 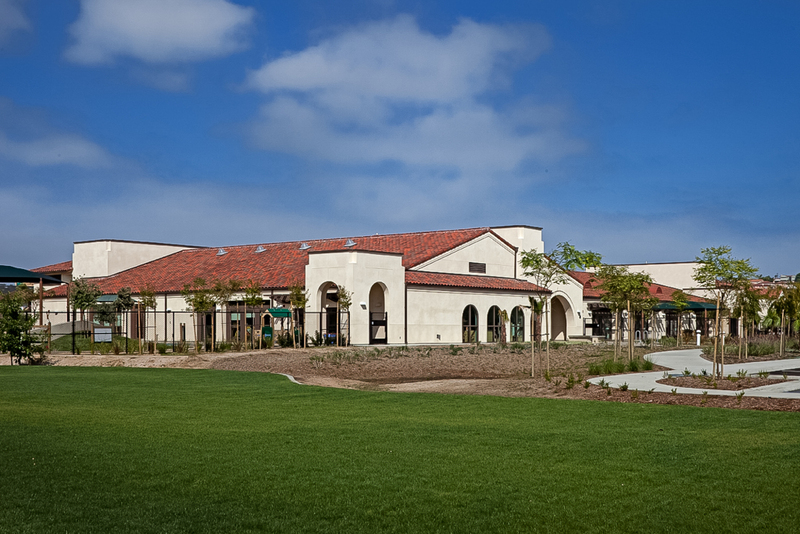 The exterior of the Child Development Center was designed to be compatible with the existing Spanish style historic buildings in Liberty Station. The building’s service areas, including the kitchen and laundry, are accessed separately from the main child drop off and check in circulation. The project was also designed to meet all Anti Terrorism Force Protection requirements of the U.S. military. 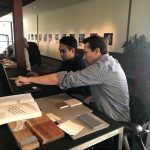 The project was awarded LEED Gold by the USGBC, incorporating a highly insulated building envelope, high performance mechanical system, a natural day lighting system, and sustainable materials with low VOC’s.